Experience the console-style gaming on your PC. 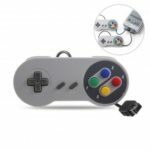 With a familiar console-like layout, easy-to-customize controls and extensive support for your favorite hits and classics, this USB Wired Gamepad might the only PC gamepad you&apos;ll ever need. 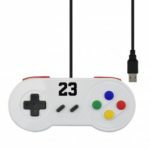 USB connection with flexible cord to provide stable and extension of game performance. No need to install the driver on windows PC. 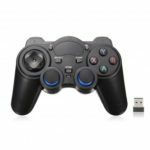 Compatible with PS3, PC, PSVITA TV, Android or XBOX360 for PC. 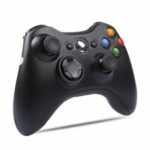 The feel, shape, and sensitivity of this controller analog sticks and trigger buttons have been enhanced to offer players absolute control for games. Create continue button press and relieve fatigue of your hands especially in shooting games. 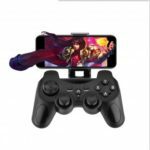 With vibration motors, realistic vibration feedback can be easily and fully experienced in racing games, sports, shooting and other types of games. 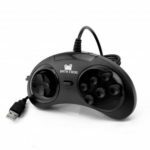 The joystick was designed with ergonomics in mind, and designed in a way that&apos;s comfortable to hold, even for long periods of your favorite games.